I love getting projects like this. 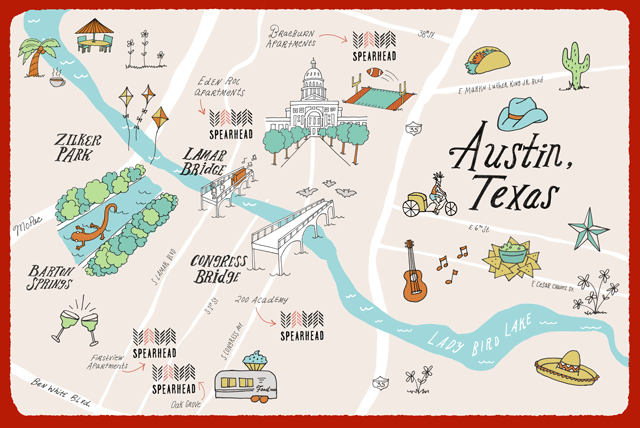 I illustrated this Austin map for Spearhead Properties to go on their new site to show renters the different neighborhoods. It's going to be interactive when the site goes live. Spearhead logo by Keith Davis Young. Please send me more projects like this! I can't think of a better way to spend my days.